Good morning! 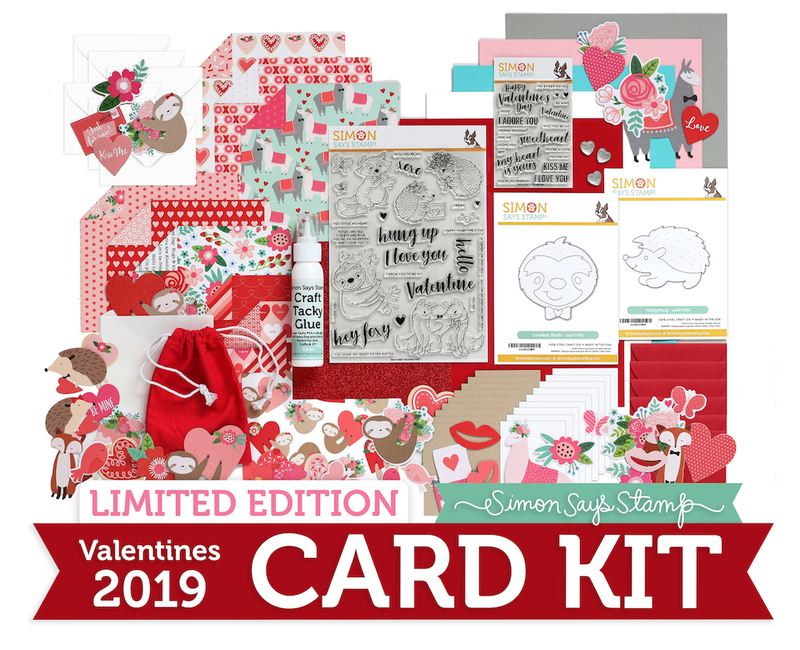 Today I’m excited to share the new limited edition Valentine’s kit from Simon Says Stamp! I mean, right?!? They’re SO cute!! 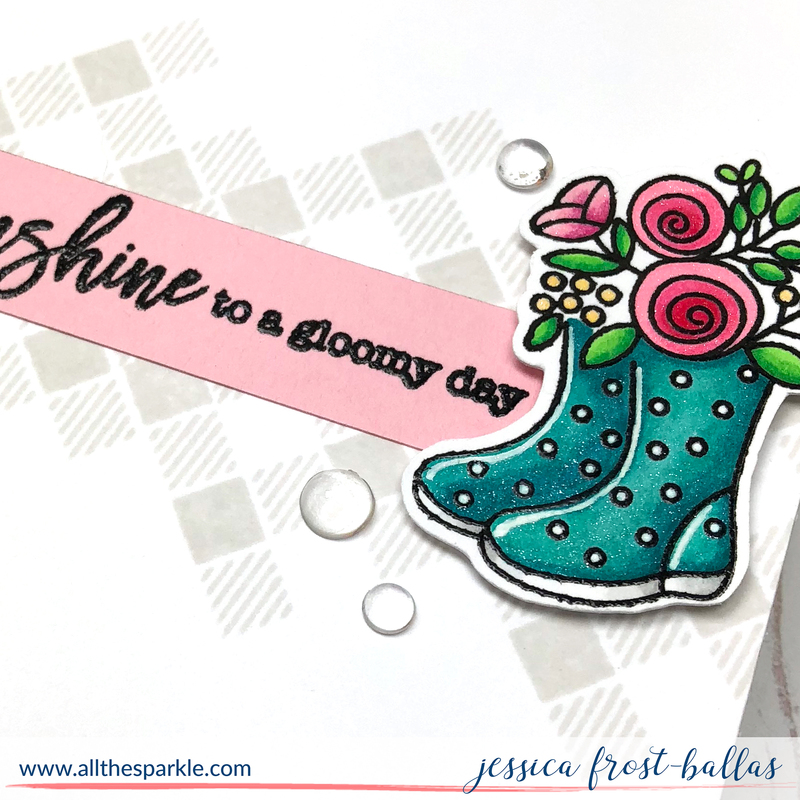 I stamped them with versafine and heat-embossed them with clear embossing powder. Then I colored them with copics and fussy cut them. I used a craft knife to take out all the white space in between them. I went over the cut edge with a black copic marker to give it a finished look and then added a few accents with a white gel pen. Next I die-cut a heart from an A2 card base. I lined up a piece of patterned paper from the kit over the front of the card panel and die-cut the heart in the same position. 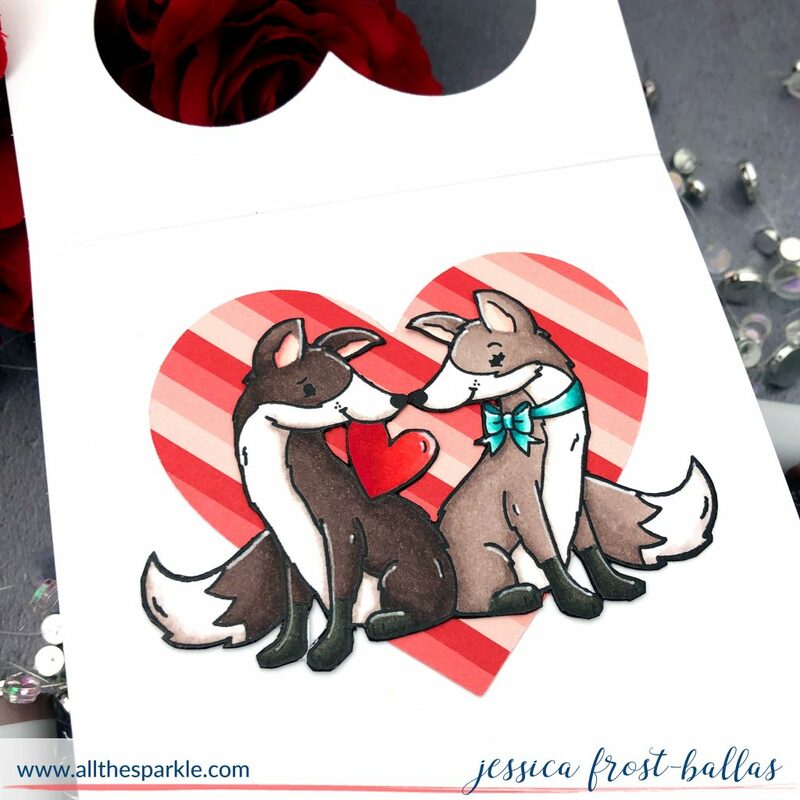 The patterned paper has two different sides so I took the heart negative, turned it over, and adhered the foxes over it. Then I lined it up within the window of my card base and adhered it to the inside of the base. 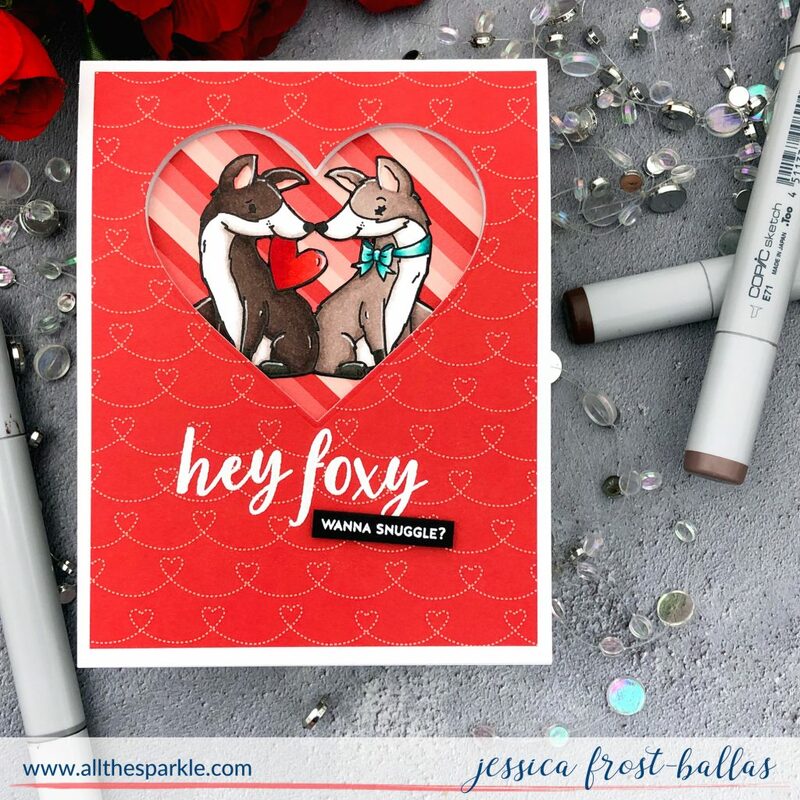 Next I trimmed the red panel down to 4″ by 5.25″ and stamped the sentiment from The Sweetest with versamark before heat-embossing it with white embossing powder. 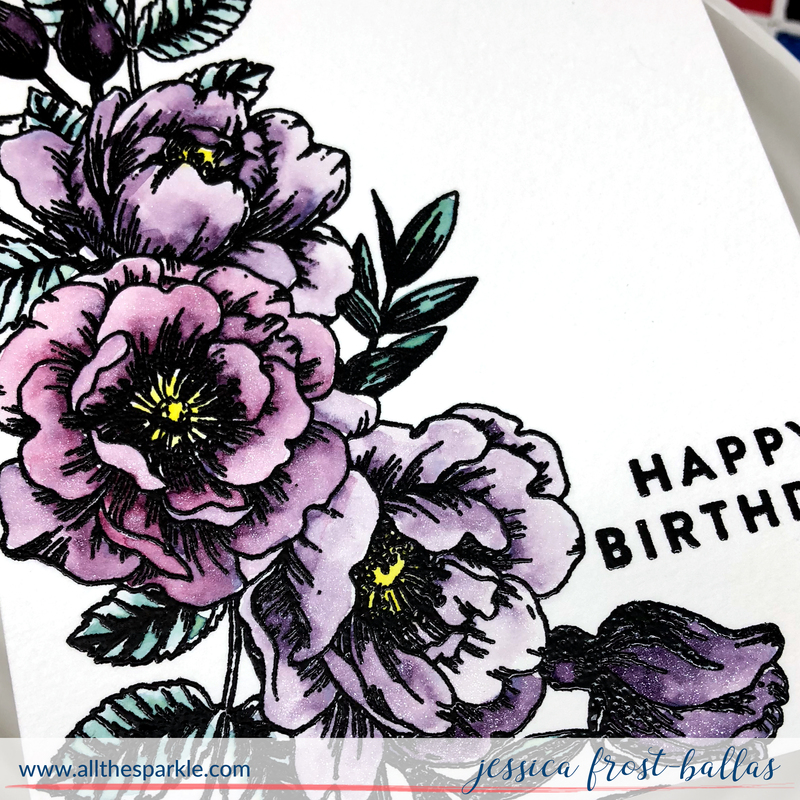 I also stamped a sentiment from Love Notes onto black cardstock with versamark and heat-embossed it with white embossing powder. I trimmed it down with the sentiment label dies and adhered it to the red panel with foam mounting tape. Finally I applied adhesive to the back of the red panel, lined it up over the heart window, and adhered it to the white card base. And that’s it! 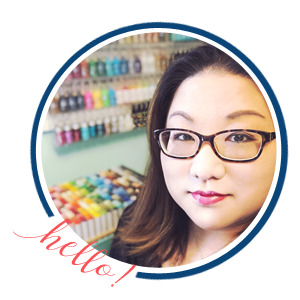 I’m on my way to Creativation this afternoon (on my 10th wedding anniversary…oops) so I think I’ll slip this under my husband’s pillow before I leave! 🙂 Thanks so much for visiting and have a fabulous day! Love it!! 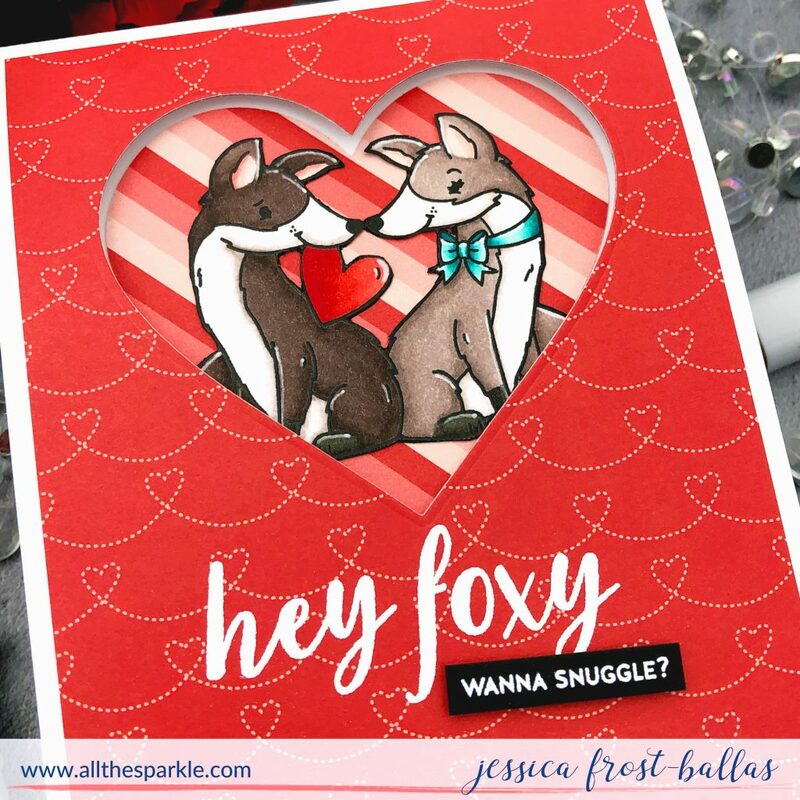 The window is a great idea, and the coloring of the foxes is fantastic. Great card (and kit)!